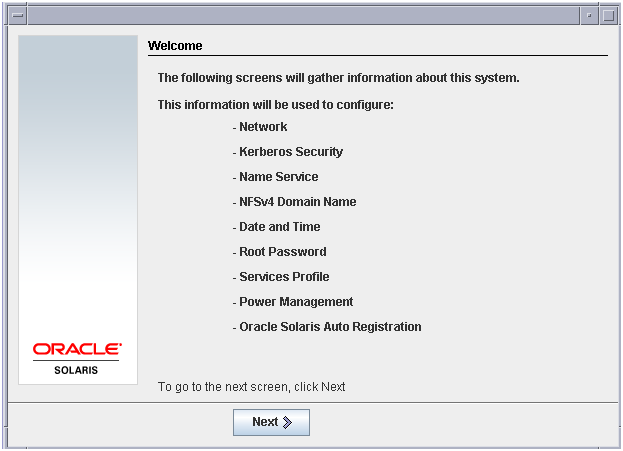 In the article you will have a look at how to use some Oracle VirtualBox features to build two node Oracle 11gR RAC system on Solaris 10 x86-64. 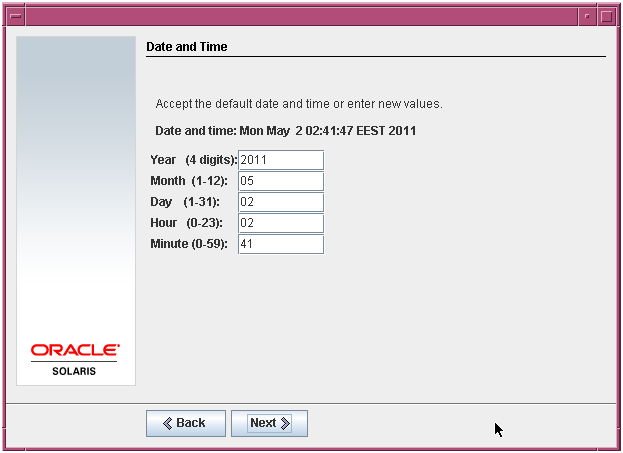 An overview to Oracle Virtualization solutions can be seen here. 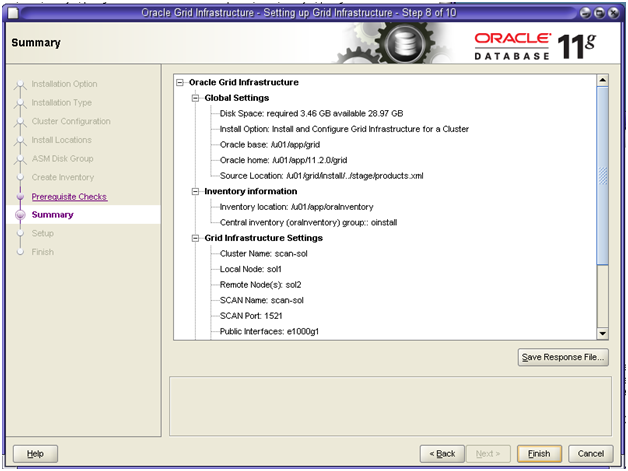 You will configure Solaris VM and install Oracle GI, Oracle RDBMS and will create a database. You will see how to fix some problems that were encountered. 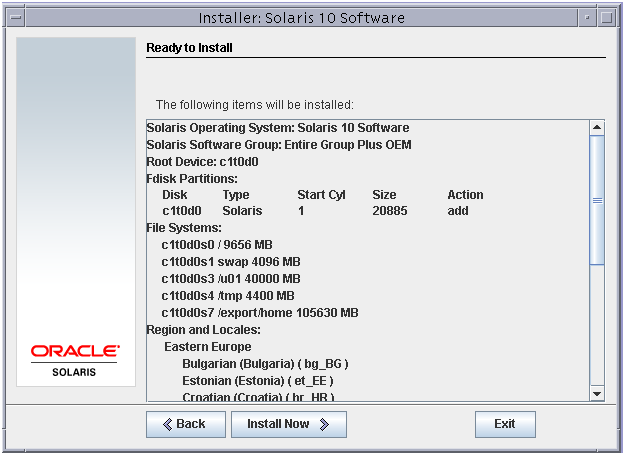 Oracle 11gR2 for Solaris (x86-64). Download from here. 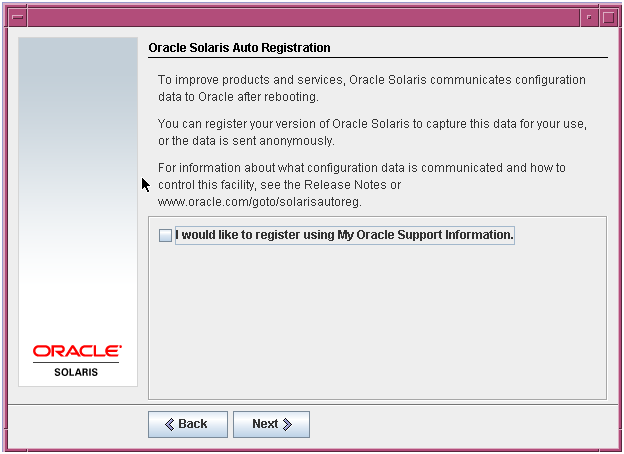 Oracle Solaris (x86-64). Download from here. 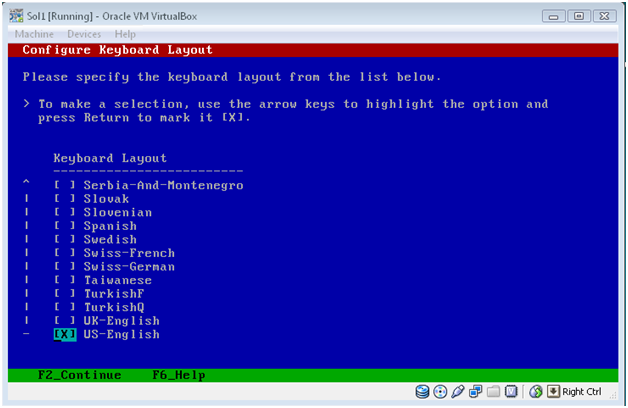 Oracle VM VirtualBox 4.0.6. Download from here. NIC – bridged for public interface in RAC with address 192.168.2.21/22 (first IP 192.168.2.21 on sol1 and second IP 192.168.2.22 on node sol2). These are public interface in RAC. NIC – bridged for private interface in RAC with address 10.10.10.21/22 (first IP 10.10.10.21 on sol1 and second IP 10.10.10.22 on node sol2). These are private interface in RAC. NIC – Host Only : for FTP/SSH/telnet/SCP access from the host OS to the guest OS. (first IP 192.168.56.51 on sol1 and second IP 192.168.56.51on node sol2). 5 10GB attached shared disks for the ASM storage. Note. 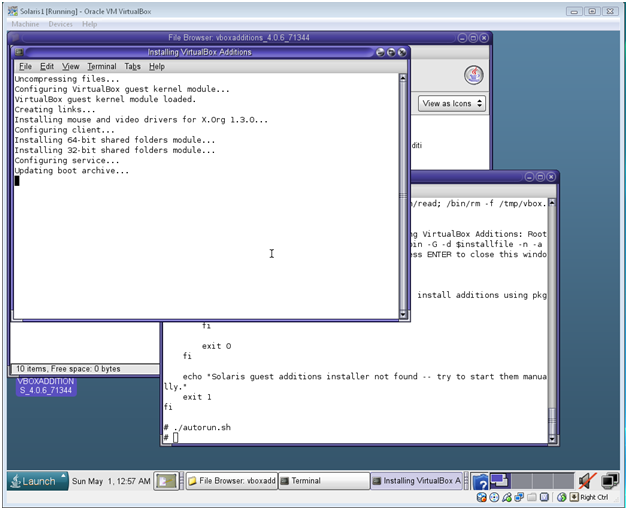 For access to the Guest OS (Solaris) from the Host (MS Windows Vista 64) via ssh/scp/telnet/ftp. For the host OS to be able to access the guest OS a Host Only adapter is required and the corresponding IP should be within the IP subnet of the VirtualBox Host-Only adapter. On the host (Windows in this case) we have. 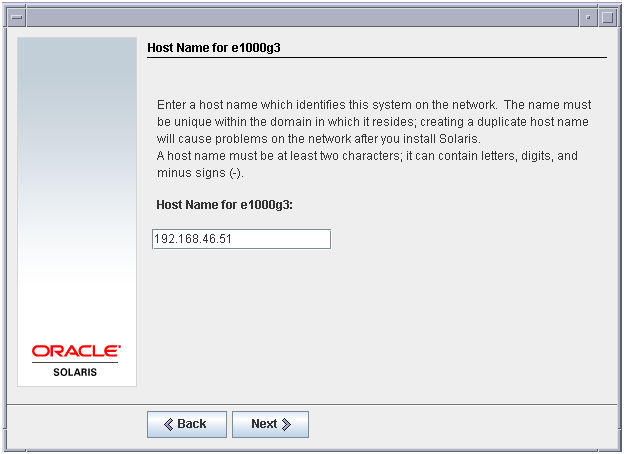 Therefore, the IP, corresponding to the Host-Only NIC , inside the guest (Solaris in this case) should be within the 192.168.56. * subnet. Should the VirtualBox Host-Only adapter IP change, make sure that the IP within the guest is within the same subnet as the IP of the VirtualBox Host-Only adapter. Examples of accessing Solaris from a cygwin on Windows. 220 sol1 FTP server ready. 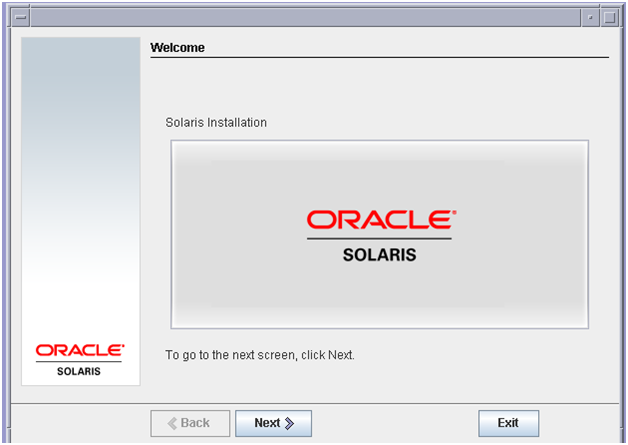 First you will create the first virtual machine and configure network interfaces and install Solaris software and meet the Oracle RAC installation prerequisites. 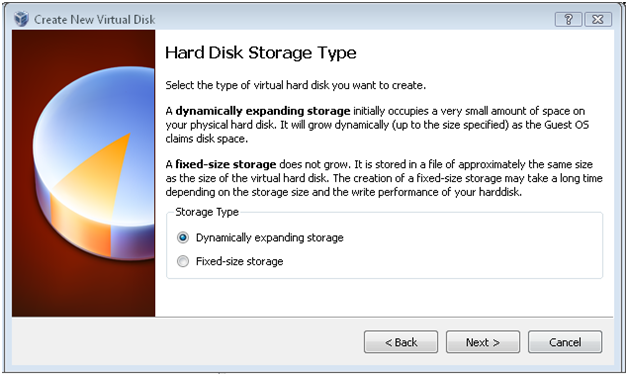 You will than attach the shared disks to the first virtual machine and prepare the shared storage. Last you will clone the boot disk of the first VM to create the second VM and plug the shared storage and change the IPs and hostname. 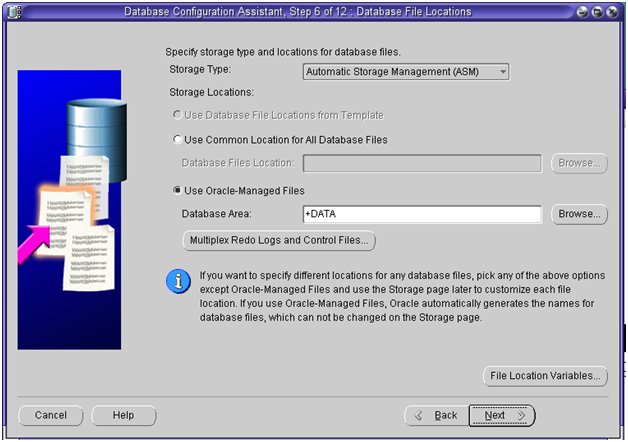 In this article you will have role separation with two different accounts one (grid) for ASM storage management and the second (oracle) for RDBMS installation. 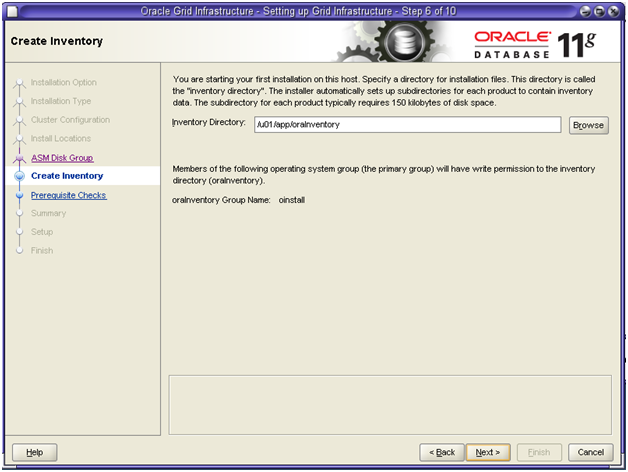 In order to support role separation you will create additional groups for (asmadmin, asmdba, asmoper, oinstall) and ( dba. oinstall, oper). Select New and click Next. Enter the name of the VM (Sol1) and press Next. 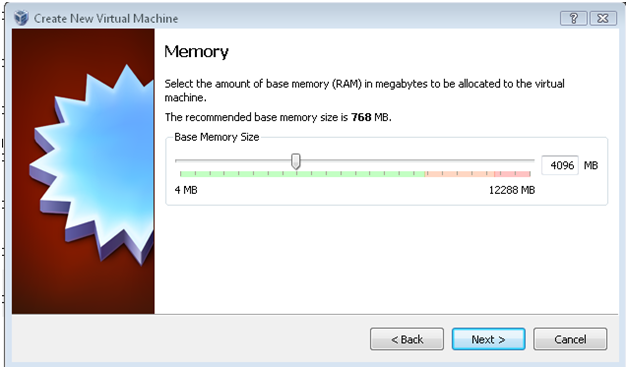 Select 4096 MB for the RAM of the VM and press Next to continue. 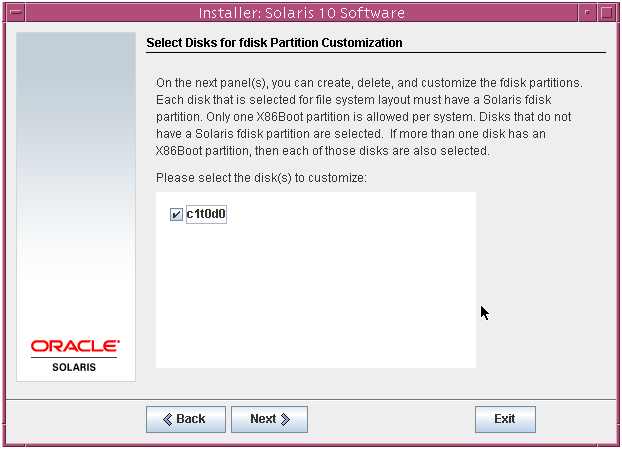 Select create a new disk for the boot disk and press Next to continue. Select Dynamically expanding storage and press Next to continue. Select 160GB (not 16GB) and press Next to continue. 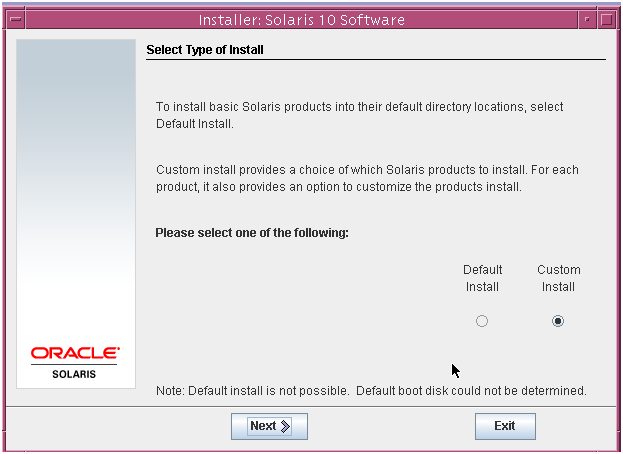 (16GB is not sufficient to install Solaris and Oracle GI and RDBMS). This concludes the VM creation. 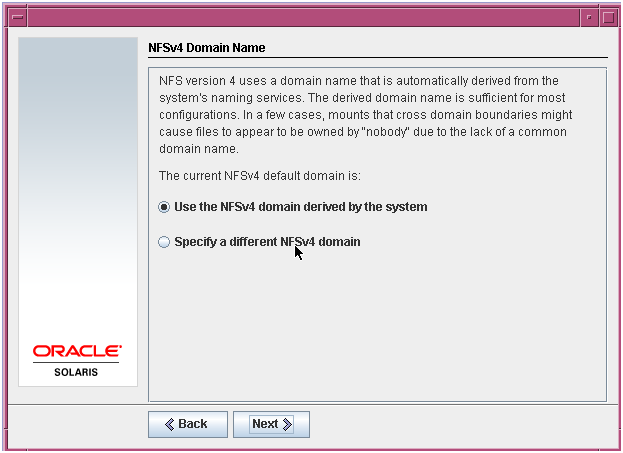 After that select the VM click settings and add the four NIC as specified. First to be NAT, bridged, bridged and Host-Only. Create the disks to be used as shared. 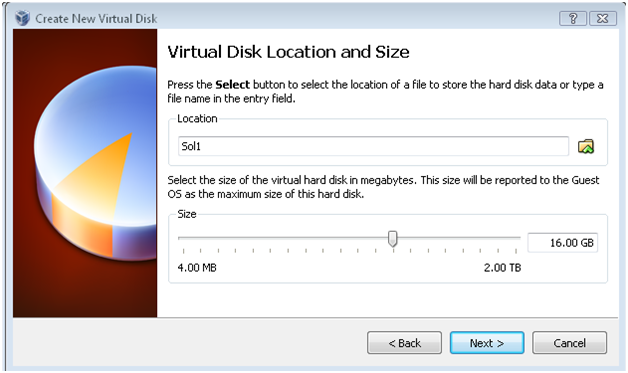 Attach the shared disks to the VM and mark them as shared. Note that for a disk to be shared it must be fixed. 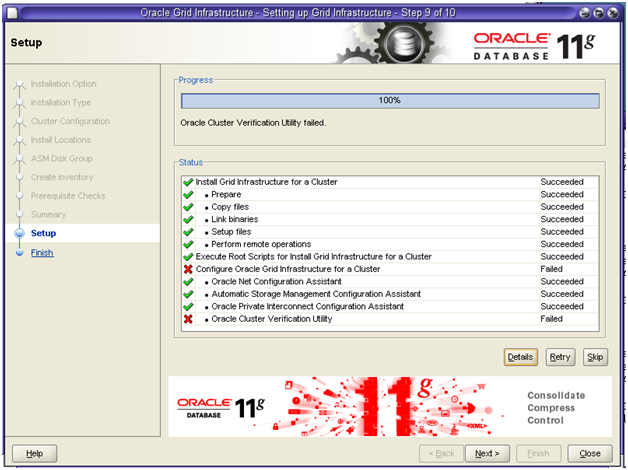 The configuration will look like the graphical image below. 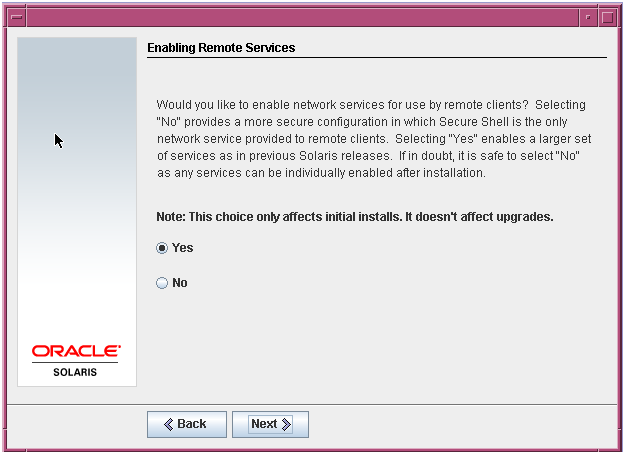 Now that the shared disks are attached and the virtual NICs are specified let’s start the VM for Solaris installation. 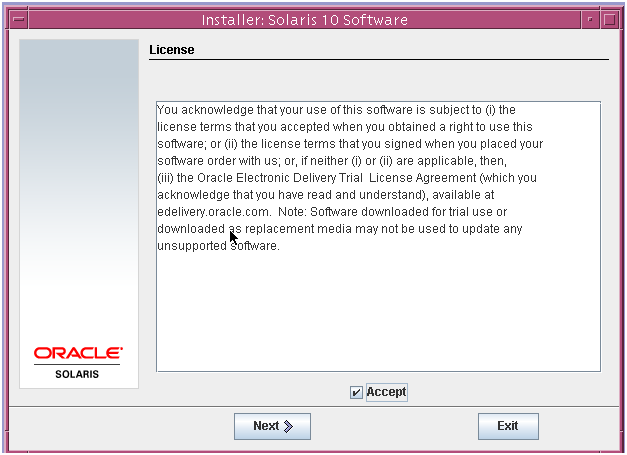 After the VM is created and started specify the media for Solaris installation. 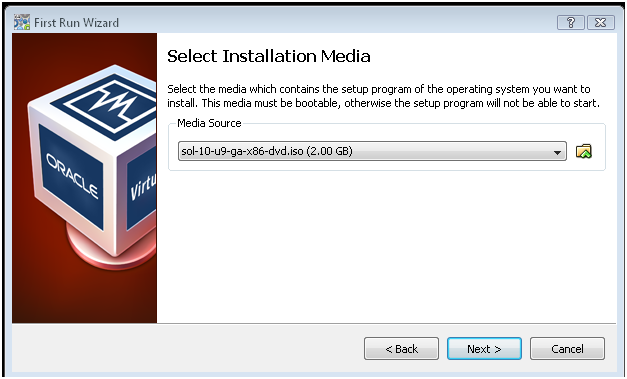 The iso image file can be either staged in a directory on the host OS or on DVD. 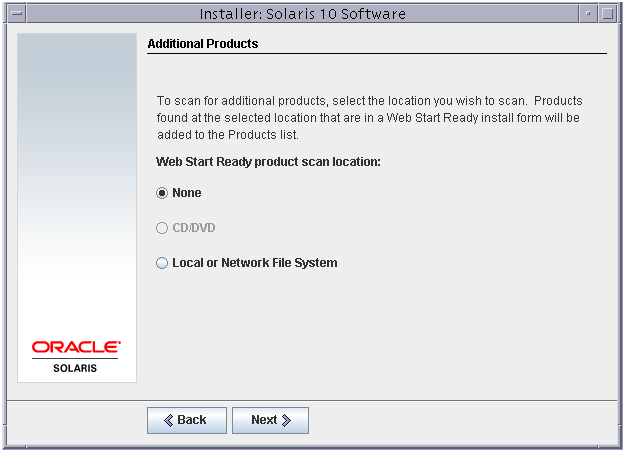 Start the VM and specify the installation media containing the Solaris iso. In this case the iso media is on a Windows directory and you press on the yellow folder with green arrow to select it and press Next to continue. Press Finish to start. 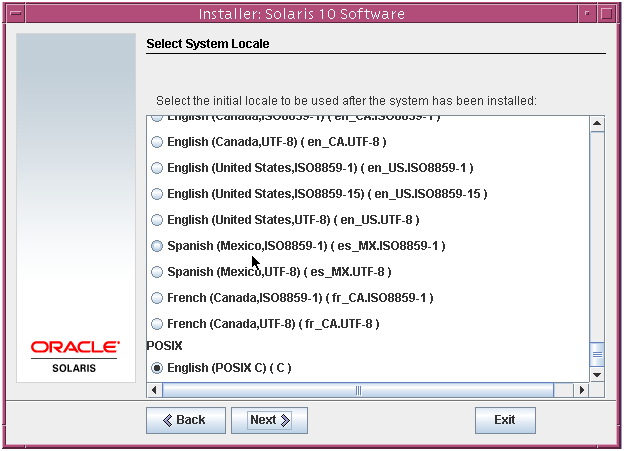 Once system boots up Select Solaris and press Return. Select 1 and press Return. Specify the keyboard layout and press F2. 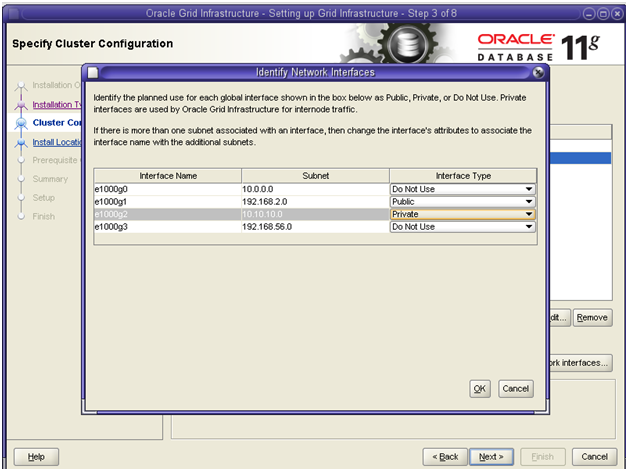 The installer presents a wizard that assists in configuration of the network, NIC, IP etc. see above. 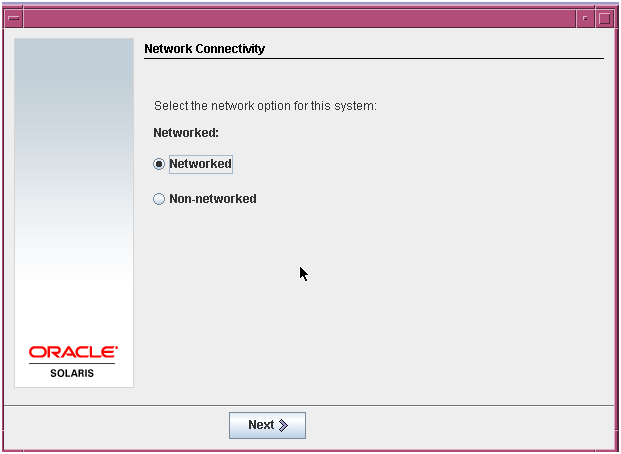 Select Networked to have the system configured and press Next to continue. 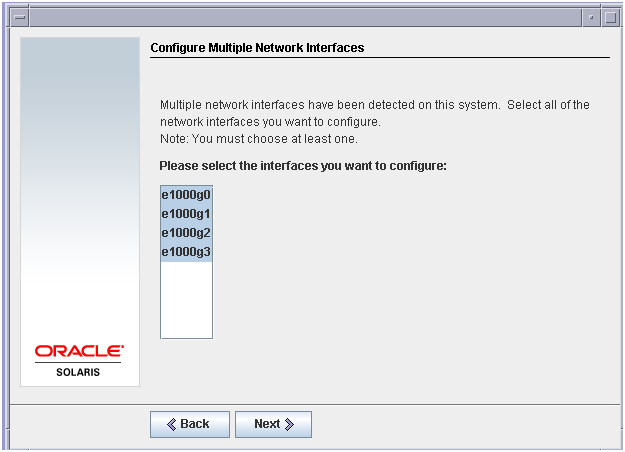 Select all Network interfaces to be configured and press Next to continue. Select the primary interface and press Next to continue. 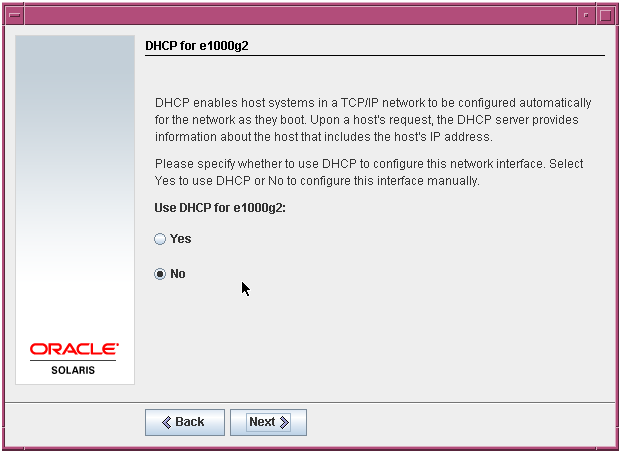 Select DHCP and press Next to continue. 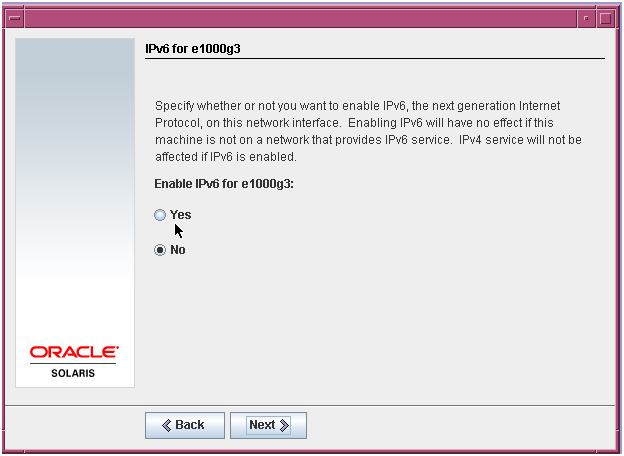 Do not specify IPv6 and press Next to continue. 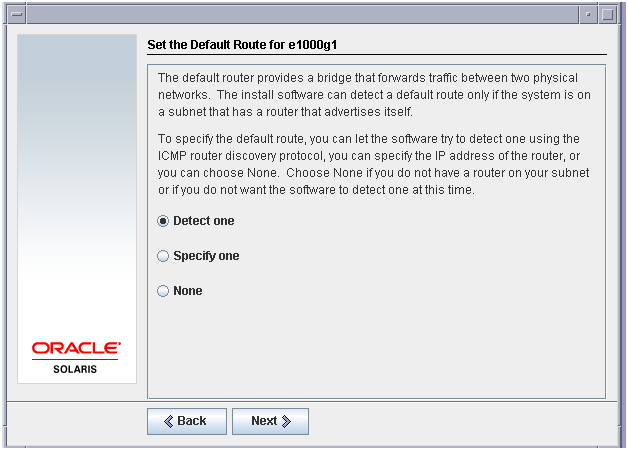 For e100g1 select manual configuration with static IP address and press Next to continue. 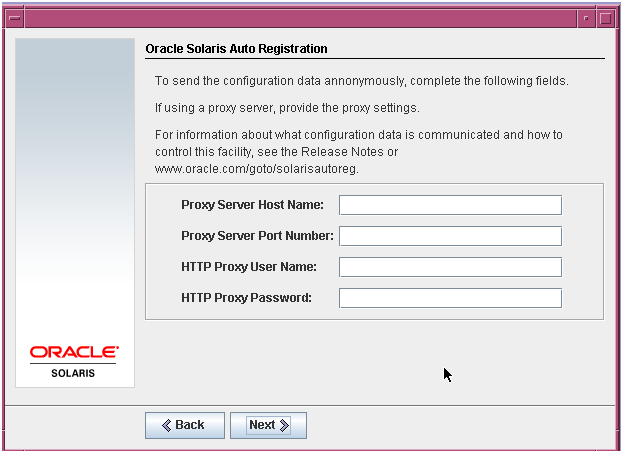 Enter hostname (public interface) and press Next to continue. Enter the IP address and press Next to continue. Enter the network mask and press Next to continue. Enter disableIPv6 and press Next to continue. 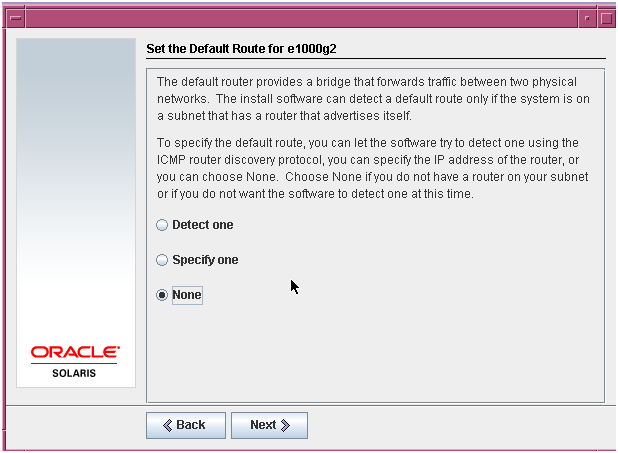 Select the router option and press Next to continue. 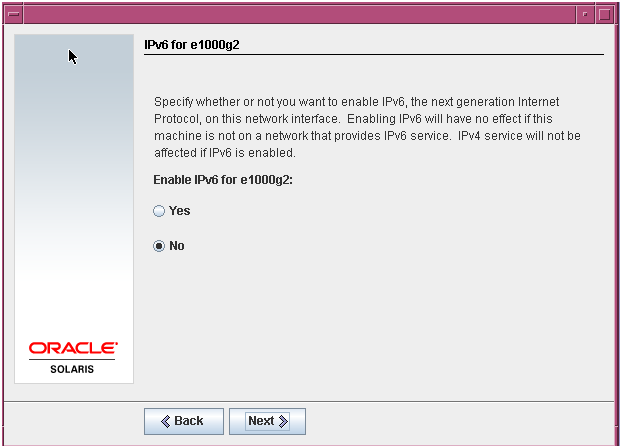 Select option for a static IP for e1000g2 and press next to continue. Enter the name of the private host name and press next to continue. Enter the private IP and press Next to continue. 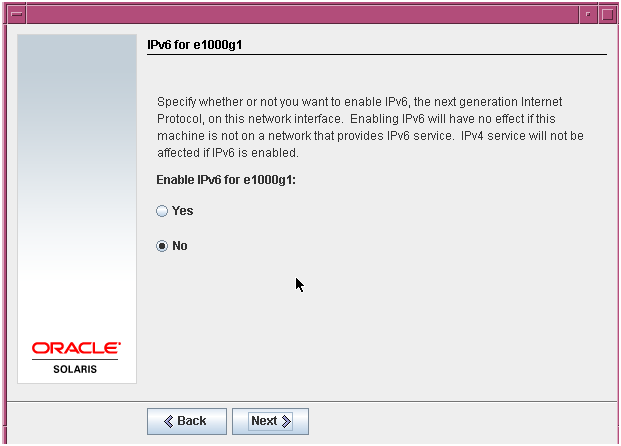 Disable IPv6 and press Next to continue. Select None and press Next to continue. 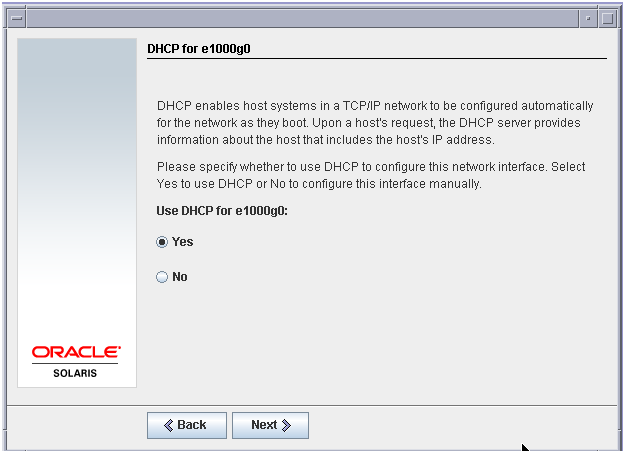 Select to manually specify static address for e1000g3 instead of DHCP and press Next to continue. Enter IP within the 192.168.56. * (192.168.56.52) subnet and press Next to continue. Enter a hostname for the IP and press Next to continue. 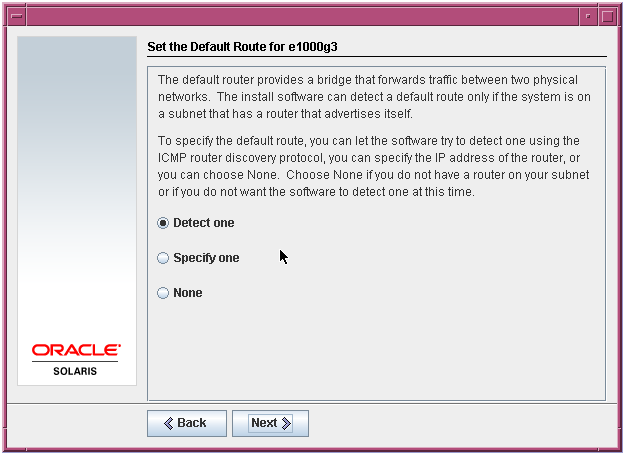 Select routing option as selected and press Next to continue. 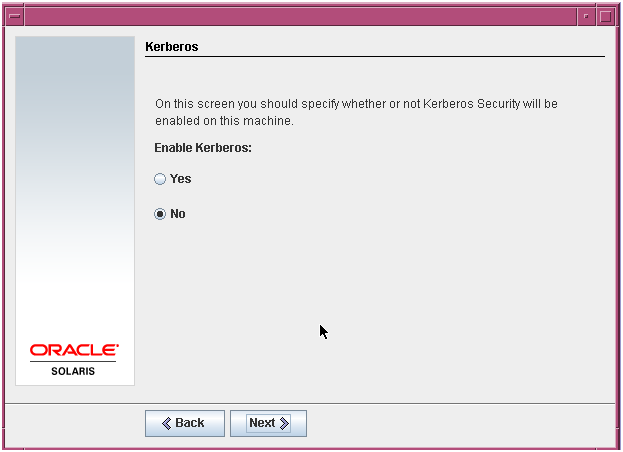 Deselect Kerberos and press Next to continue. Chose the selected option and press Next to continue. 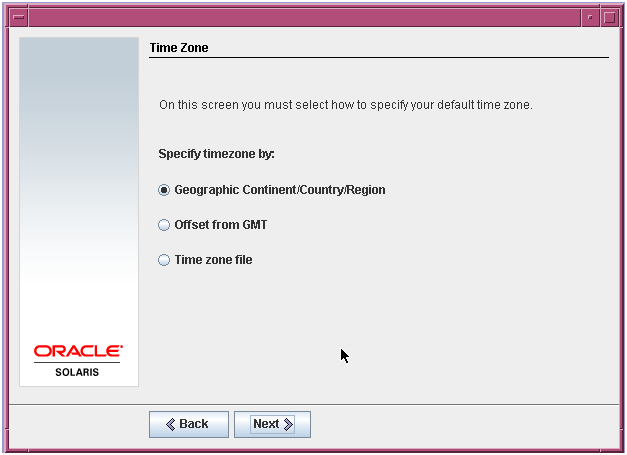 Select time zone and press Next to continue. Select a country and press next to continue. Review the values modify if necessary and press next to continue. Enter root’s password and press Next to continue. Enable it and press Next to continue. I skipped registration and pressed Next to continue. Registration can be done at later stage. Mark the selected and press next to continue. Select CD/DVD and press Next to continue. Accept and press Next to continue. Select custom and press next to continue. 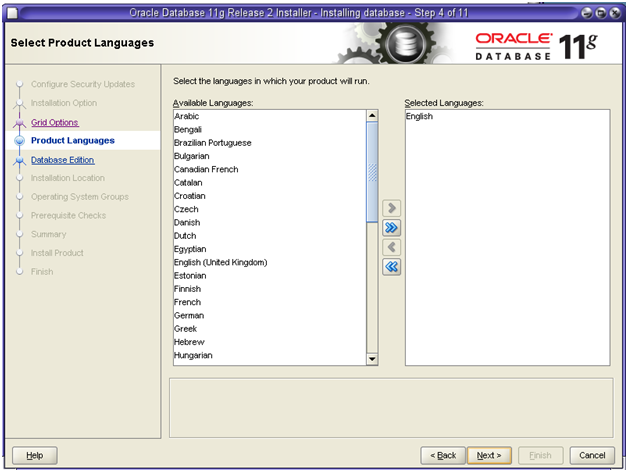 Select desired localizations and press Next to continue. 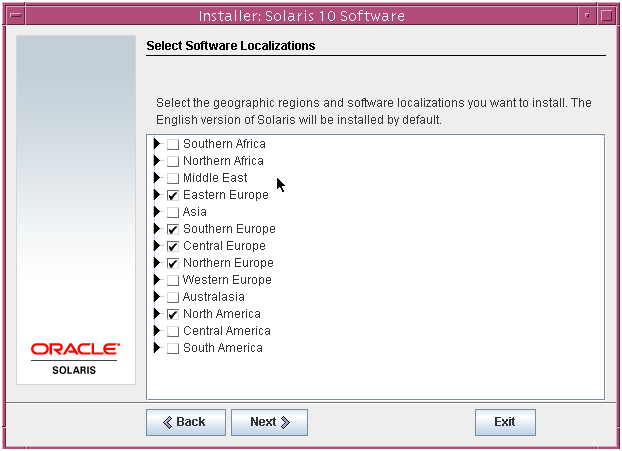 Select the initial locale and press Next to continue. Select location and press next to continue. Select software group to install and press Next to continue. In this case I choose default packages of Entire Group plus OEM. Select the boot disk c1t0d0 to layout the file system and we will configure the remaining 10 disks later. Press Next to continue. Press Next after checking the disk to continue. Specify mount points for the file systems for each slice and press Apply. Review, correct if necessary Apply and press Install Now to start the installation. After completion and reboot we will see the screen. 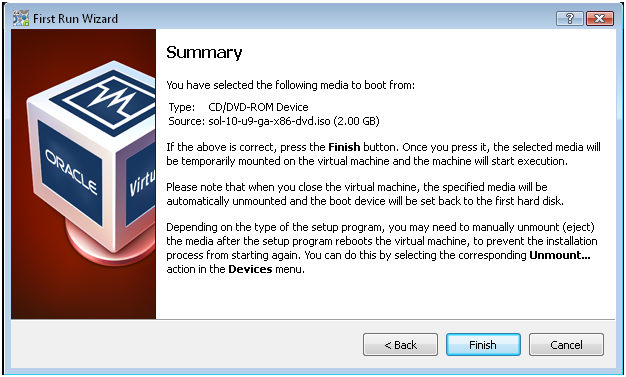 After login as root user, on the VirtualBox console select Devices->Install Guest Additions… The Virtual Editions media gets mounted as a virtual CD. Run the autorun.sh as root, wait to complete and reboot the server. Shared folders are configured as follows. 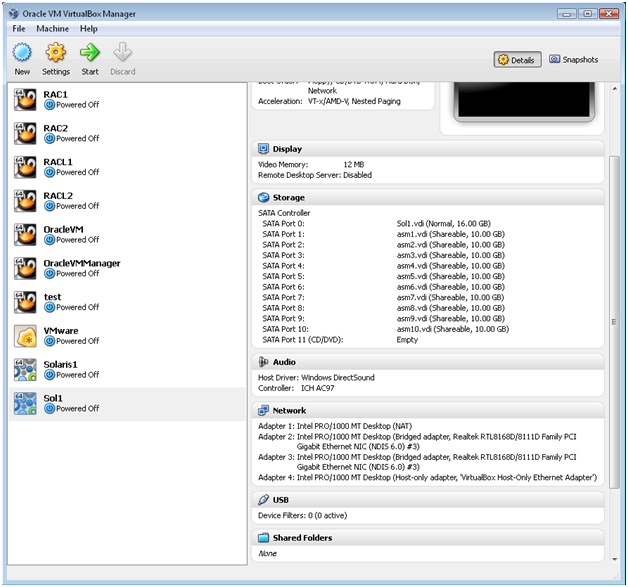 VirtualBox allows you to mount on the guest OS folders from the host OS. As root user create directories for each folder and use the following command to mount . 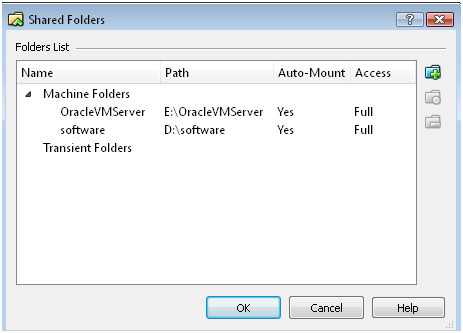 In my case I created two directories /software and /OracleVMServer and mounted the shared folders as follow. To create a permanent mount points that persist a reboot add the following line to the /etc/vfstab file. Set up a network between host and guest OS. In order to enable ssh as root from host to guest in guest Solaris change the file /etc/ssh/sshd_config so that parameter PermitRootLogin set no is replaced with PermitRootLogin yes. Note. 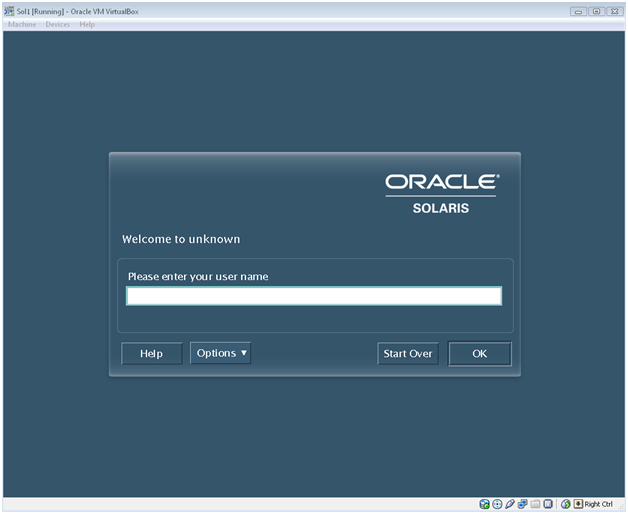 For access to the Guest OS ( Solaris) from the Host (Windows) via ssh/scp/telnet/ftp. For the host OS to be able to access the guest OS a Host Only adapter is required and the corresponding IP should be within the IP subnet of the VirtualBox Host-Only adapter. Issuimg ipconfig on the host Windows we will have something like output below. Note the 192.168.56.1. This will determine the subnet for the guest to be accessed. 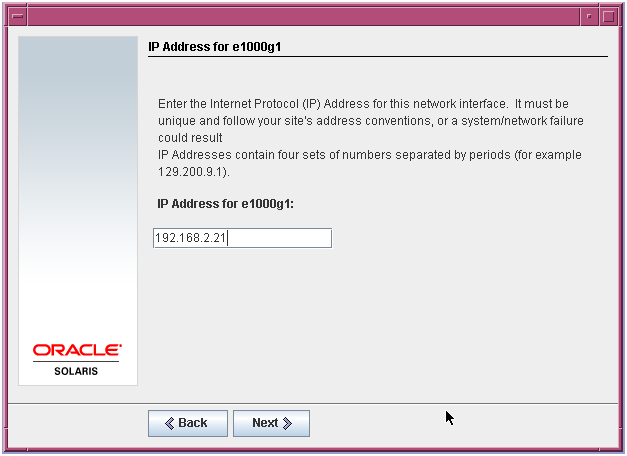 Therefore, the IP, corresponding to the Host-Only NIC , inside the guest (Solaris in this case) should be within the 192.168.56. * subnet. 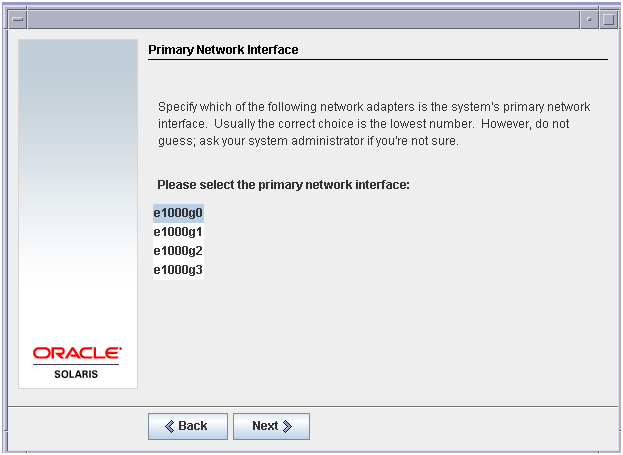 Should the VirtualBox Host-Only adapter IP change make, sure that the IP within the guest is within the same subnet as the IP of the VirtualBox Host-Only adapter. 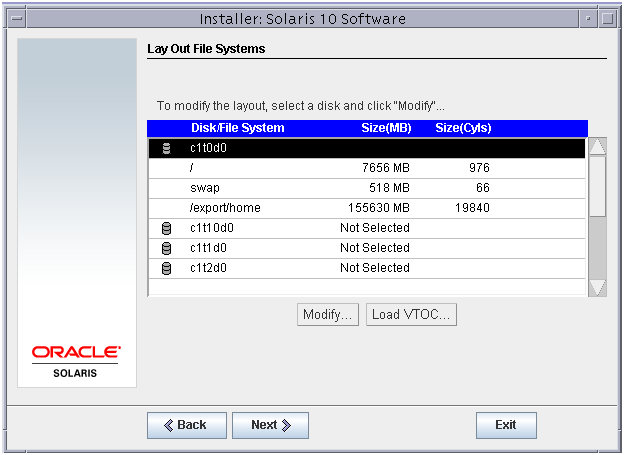 There are ten shared disks attached to the Solaris VM. Those disks are visible as c1t1d0, c1t2d0,c1t3d0,c1t4d0, c1t5d0, c1t6d0, c1t7d0, c1t8d0, c1t9d0 and c1t10d0. 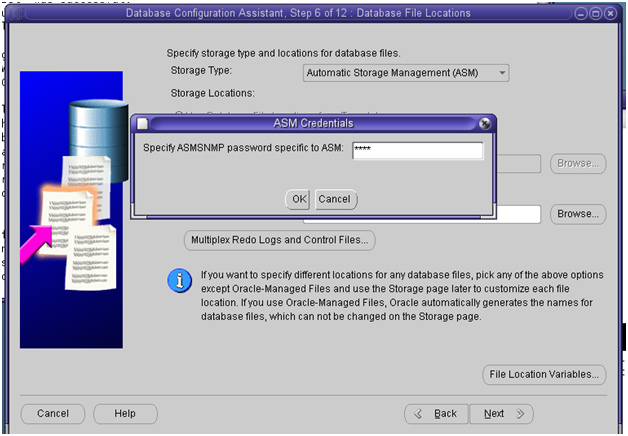 You need to format and prepare them for the ASM with privileges (0660) and ownership (grid:asmadmin). 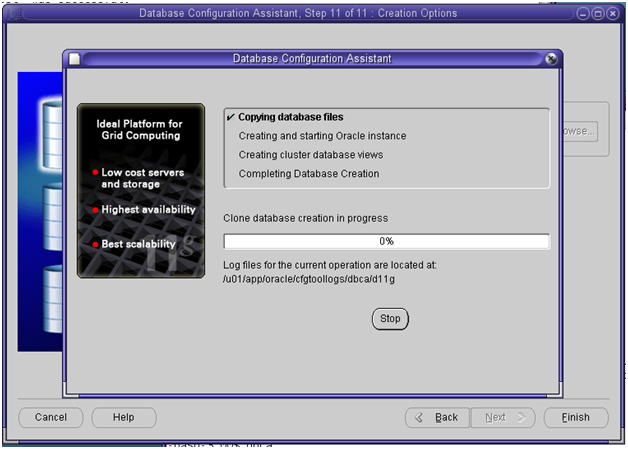 Each disk is formatted and a partition is created starting from 1 cylinder. 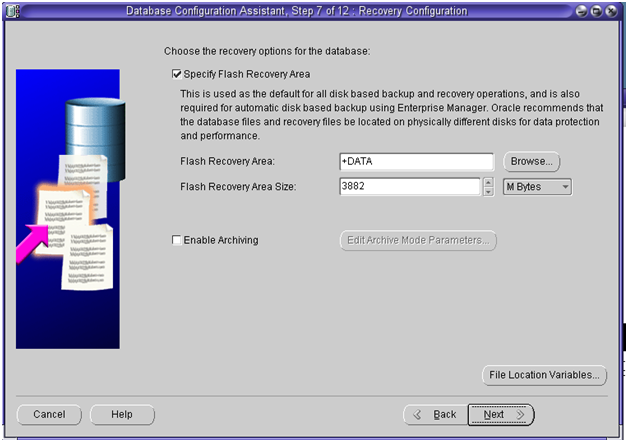 The available disks can be seen using the format command as shown below. 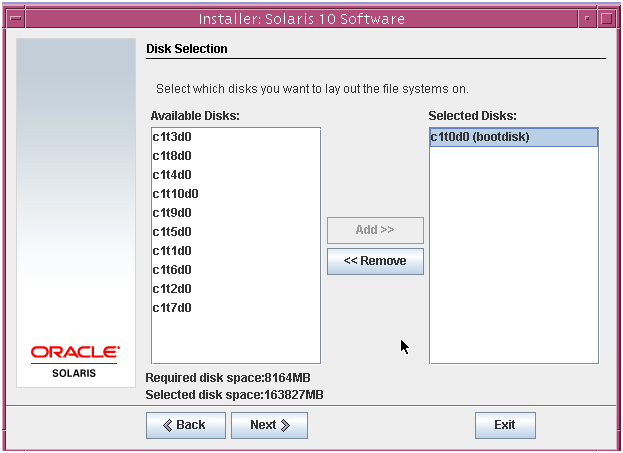 Than for each disk you invoke fdisk and accept Solaris as default type of partition. 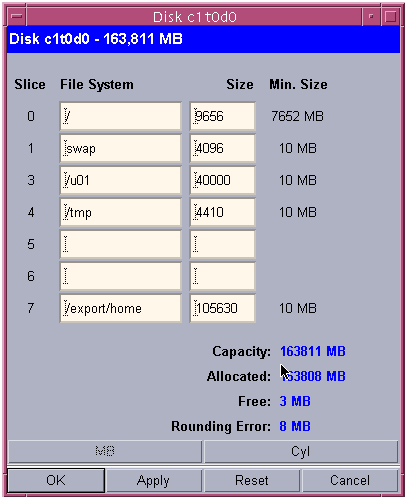 Then you partition with partition command and select 0 partition to start from first cylinder and enter size 9.95GB (remember 10GB was the original size) and print the partition table. You repeat the procedure for all ten shared disks. The flow of commands is as follow. In this case the whole disk c1t4d0 was partitioned as one partition and made available for ASM. 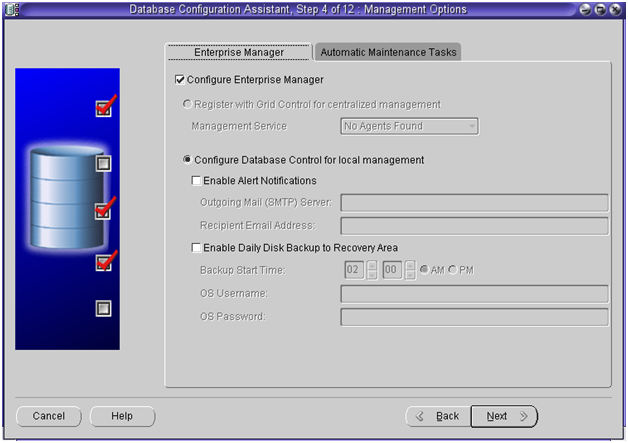 Repeat the same steps for all remaining nine shared disks. 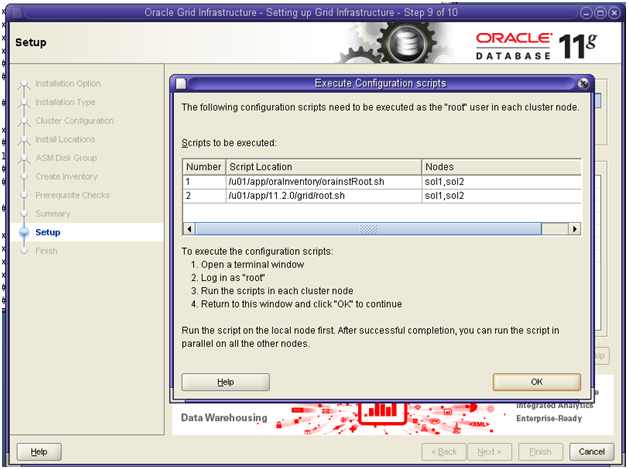 Since slice 0 was used you need to make those available to ASM by setting the permissions and ownership as show below. For more information refer to Oracle documentation here. 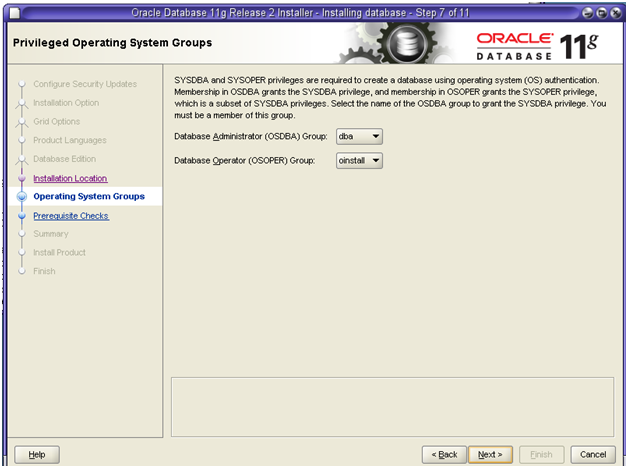 Oracle starting with 11gR2 is enabling a role separation when installing Oracle GI and Oracle RDBMS. 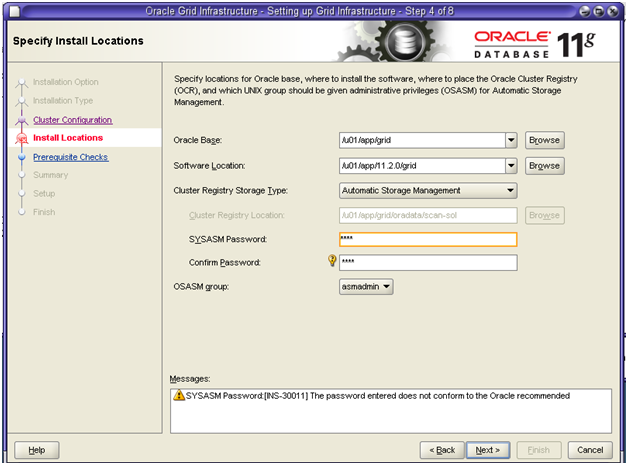 The idea is Oracle GI will have a user grid as ASM administrator and Oracle RDBMS will have a user oracle as RDBMS administrator. 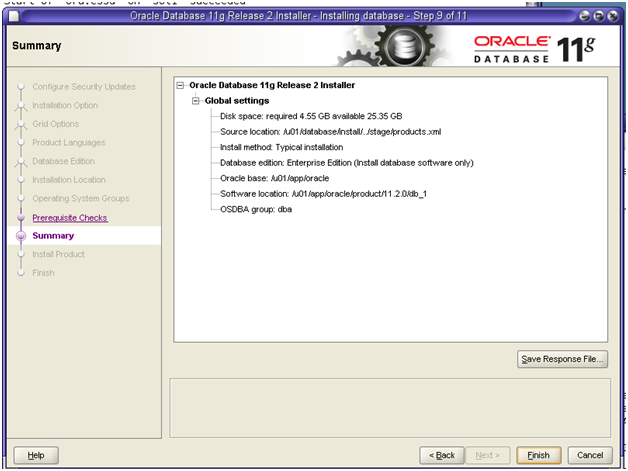 Both users share oinstall group so that both Oracle GI and Oracle RDBMS share the same inventory. However each admin has different groups. 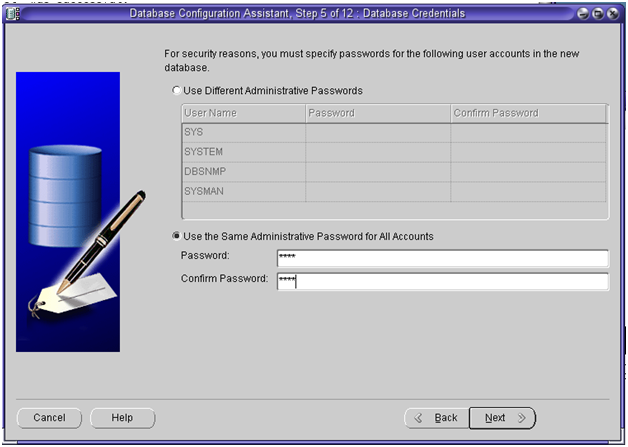 The grid user is a member of asmadmin, asmdba, asmoper and the primary group is oinstall. 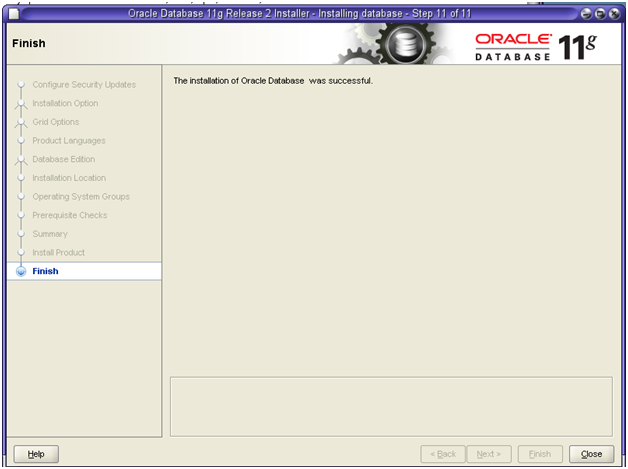 The oracle user is a member of dba, asmdba and oper and the primary group is oinstall. Users and groups are created with the following commands. 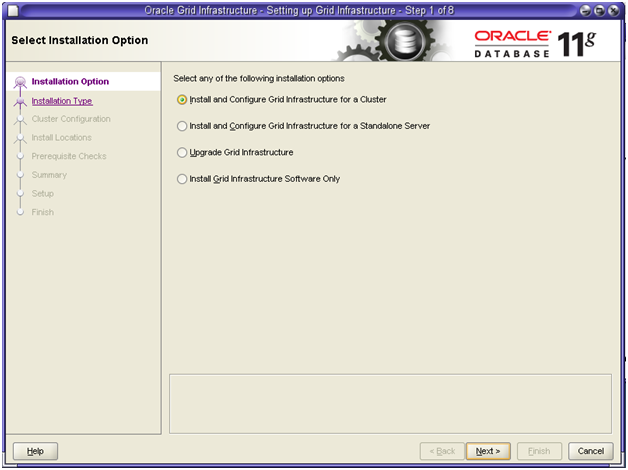 User grid and user oracle separate the responsibilities between storage administrator and Oracle DBA. 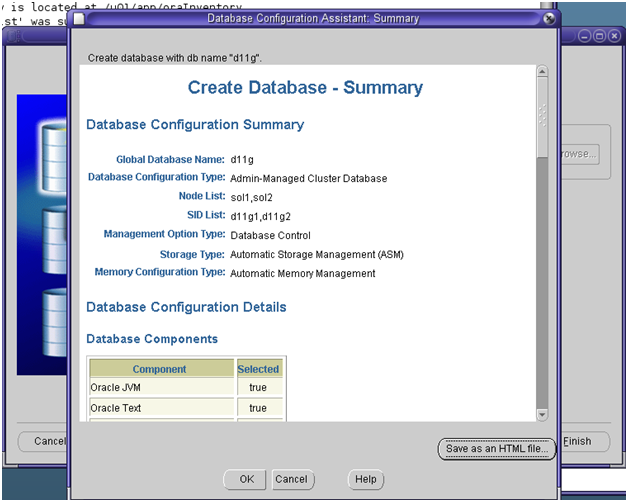 Create two projects for Oracle GI and Oracle RDBMS users respectively. 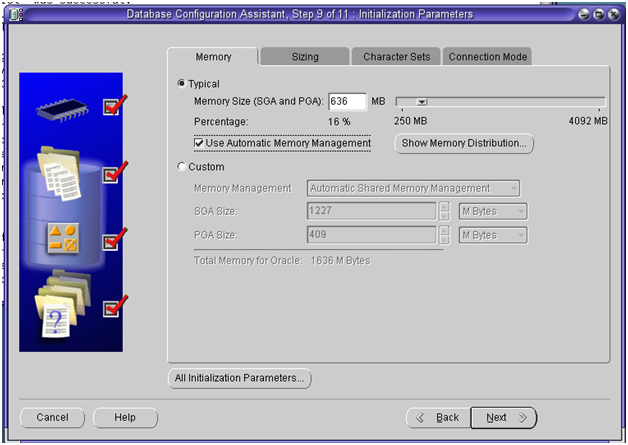 Set the share memory parameters. If the max file descriptors are not set properly there will be errors starting OUI. You see it later on. Put in /etc/inittab the following lines for the TCP and UDP parameters to persist across reboot. Oracle recommends using OUI to setup ssh user equivalence where users can connect across the node of the cluster without a password. To avoid errors while attaching $OH when the remote node closes a connection prematurely set in /etc/ssh/sshd_config file LoginGraceTime 0. After changing the file restart ssh service. Make sure that Core Dumps are enabled. To check if core dumps are enabled use coreadm command as follows. As root user make the following directory. And enable core dumps as show below. NTP is disabled in the installation reflected in article. Edit the /etc/system to add the following parameters. 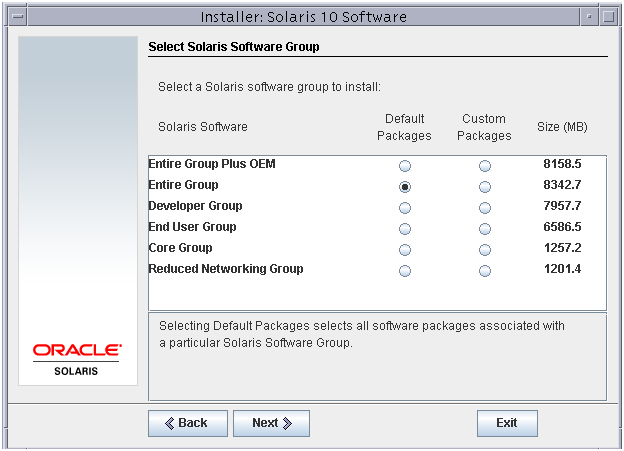 For Solaris 10 x86-64 the following packages and patches are required. The ISO image can be mounted as follows. Package verification can be done as follows. Use pkgadd to add missing packages if required. Modify /etc/hosts file to have entries for the public, private and scan addresses similarly to the output below. 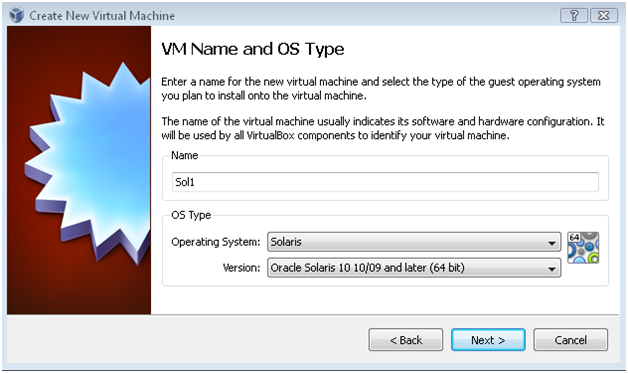 Clone the boot disk of Sol1 VM to create a second VM corresponding to the second node. Create a second VM called Sol2 with the same resource as Sol1 but specify the cloned disk as a bootable disk. 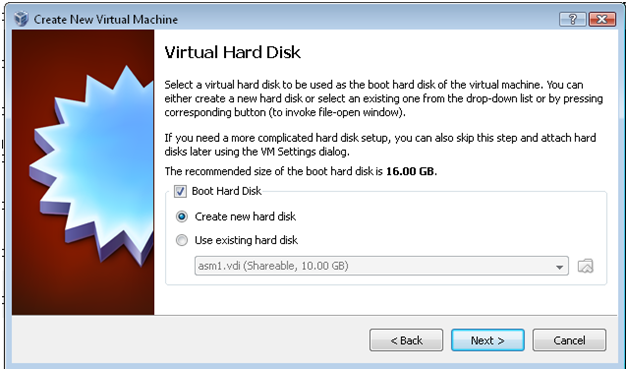 Attach the shared disks to the second VM using commands as described below. In order to avoid collision with IP start only the second cloned VM and change the IP and hostname. Initially both machines apparently have same IPs and hostname. 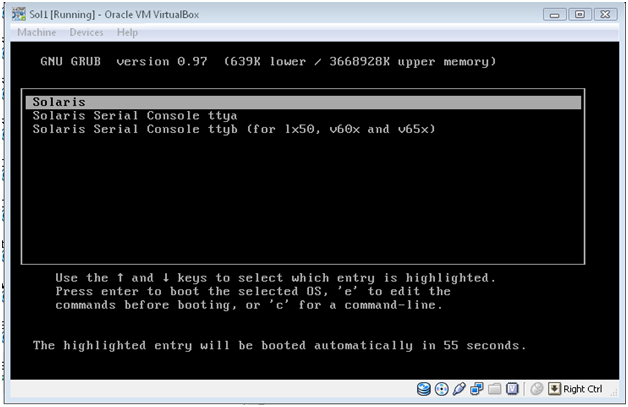 As root on Sol2 VM execute the following commands. For changing the hostname modify the following files. They should look like as follows. Use OUI to setup ssh user equivalence for user grid and oracle. Run cluvfy to verify the prerequisites. See Annex A for the ouput. 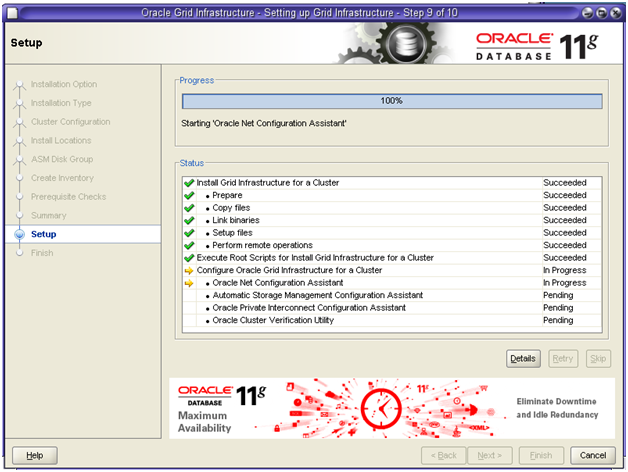 Start OUI for Oracle GI installation. MOS Note 11gR2 runInstaller Fails with Exception in thread “main” java.lang.NoClassDefFoundError [ID 1073073.1] shed some light. After issuing xhost + from a root connected terminal session and setting a DISPLAY=:0 in a session logged as grid run OUI. 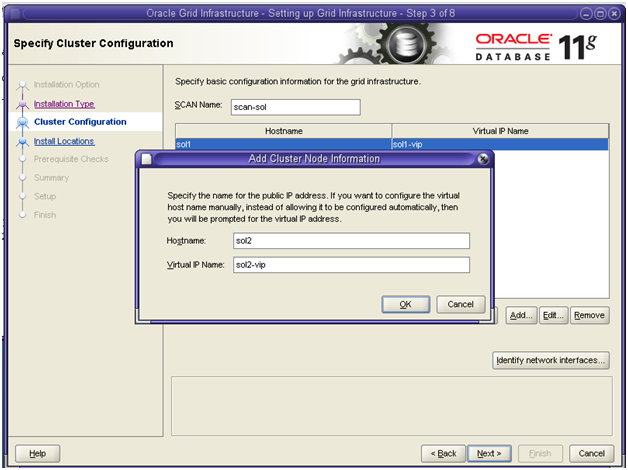 Select and install GI for a cluster and press Next to continue. 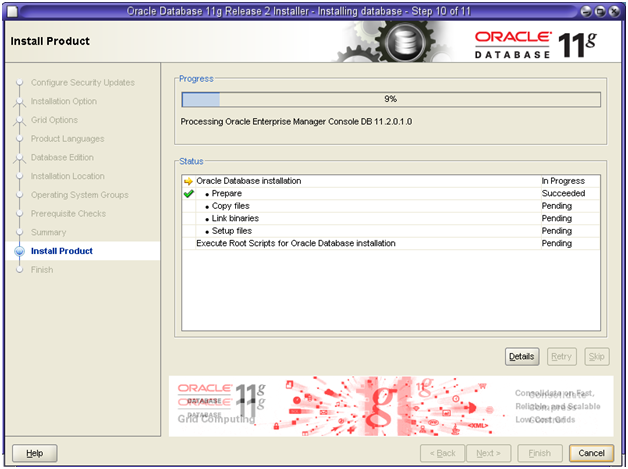 Select Typical Installation and press Next to continue. Enter the hostname and vip name for the second cluster. Press Identify Network Interface to specify interfaces that are to be public and private. OK when done. Specify the software location and password. Press Next to continue. 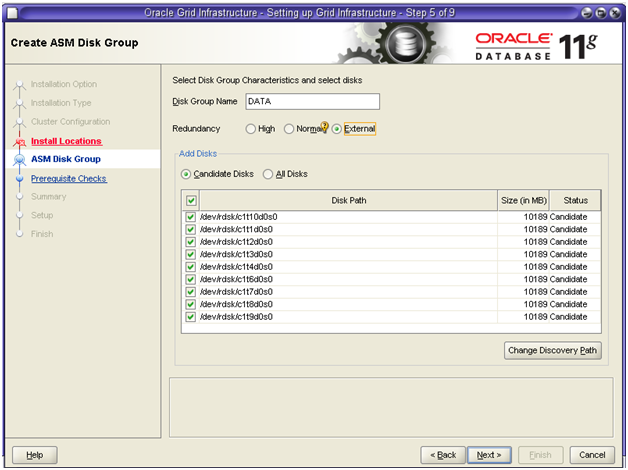 Select the disks for disk group DATA and press Next to continue. 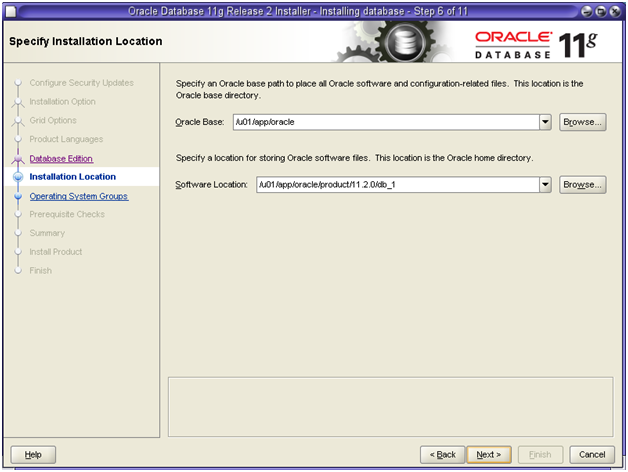 Leave the default oraInventory location and press Nest to continue. Wait for the check to complete. Verify that everything looks fine and press Next to continue. Wait for the prompt to run the scripts as root to appear. Run the scripts. The output is in Annex B. Wait for completion. Verify that the only errors are due to the scan in /etc/hosts. Press Next to continue. 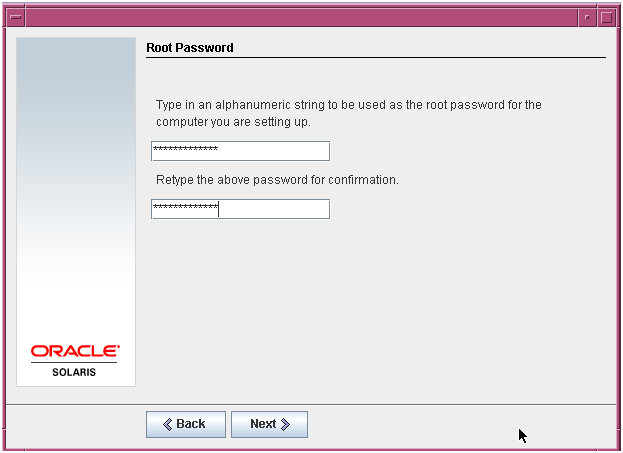 Log in as oracle user. Set and export DISPLAY variable issuing export DISPLAY=:0. Run the installer. Press Next to continue. 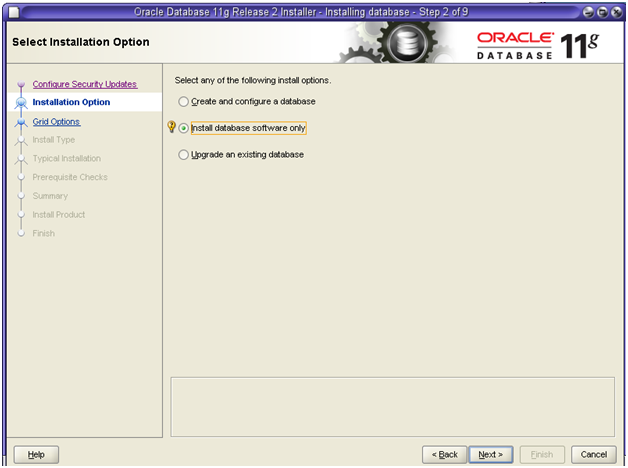 Select the option to install RDBMS software only and press next to continue. 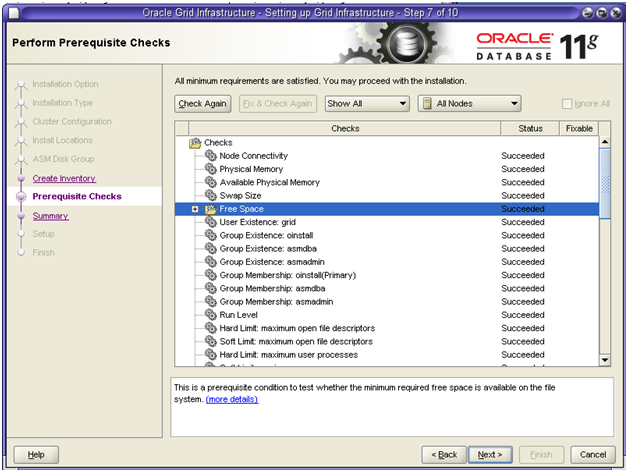 Select RAC installation and select all nodes. Press Next to continue. Select language and press Next to continue. 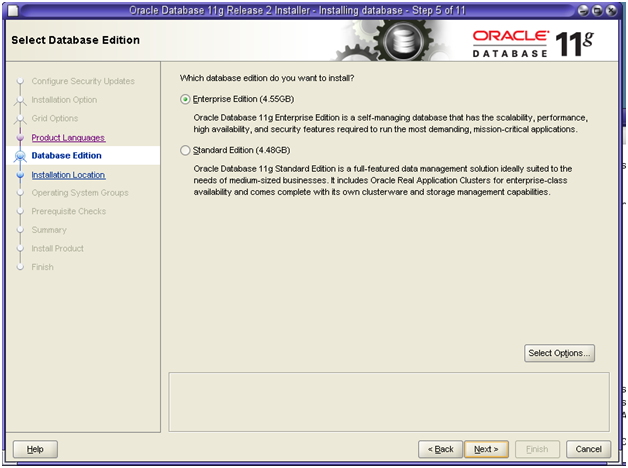 Select Enterprise Edition and optionally select options and press Next to continue. Select the locations and press Next to continue. Select the groups and press Nest to continue. 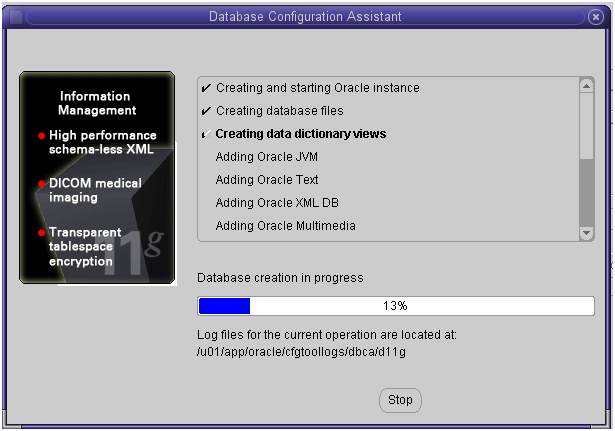 Make sure that you observe the role separation, that is RDBMS is with dba and oinstall and ASM is with asmadmin and oinstall.. Wait for the verification to complete. Review and make sure that all checks are successful. Press Nest to continue. When prompted execute as root the root.sh and OK to continue. This concludes the installation. Close to exit. 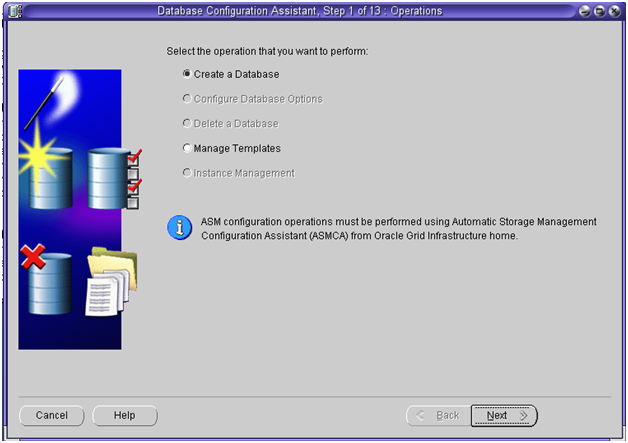 During the creating of a database dbca failed due to the fact that oracle RDBMS instance cannot open the ASM disk while the disk group is mounted. 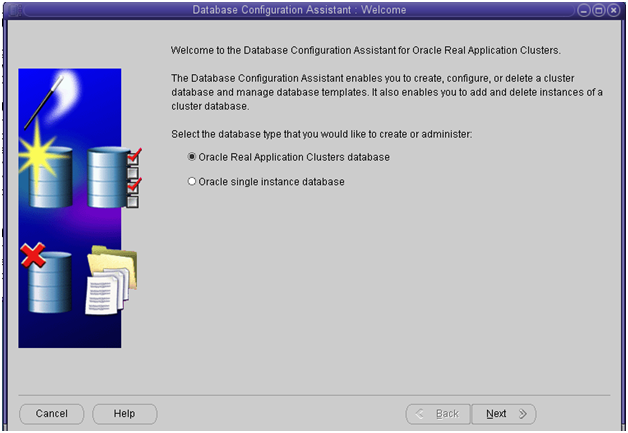 Since the purpose of role separation is to have a Oracle GI user grid and group asmadmin totally different from Oracle RDBMS user oracle with dba group somehow Orac;e needs to be able to have access to the disk groups. After a short research in MOS a couple of Note suggested that <Oracle RDBMS Home>/bin/oracle should be owned by oracle:asmadmin. 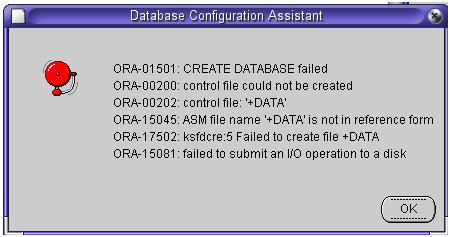 However this was not the case and was instead owned by oracle:dba which explained why RDBMS instance cannot access the disk group. I will briefly walk through the installation and focus on the errors and the proposed solution. 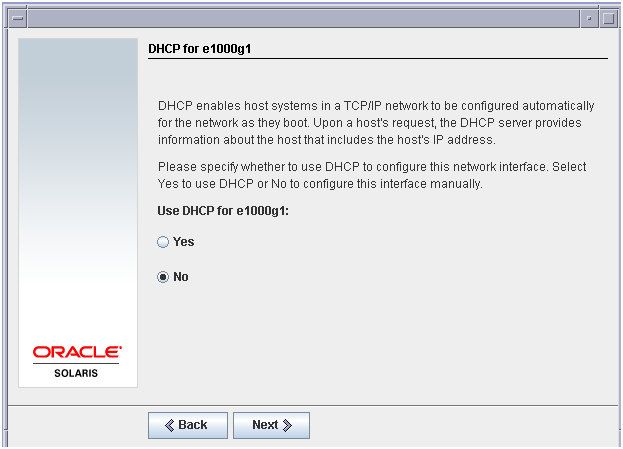 While logged in as oracle set DISPLAY variable and start dbca. 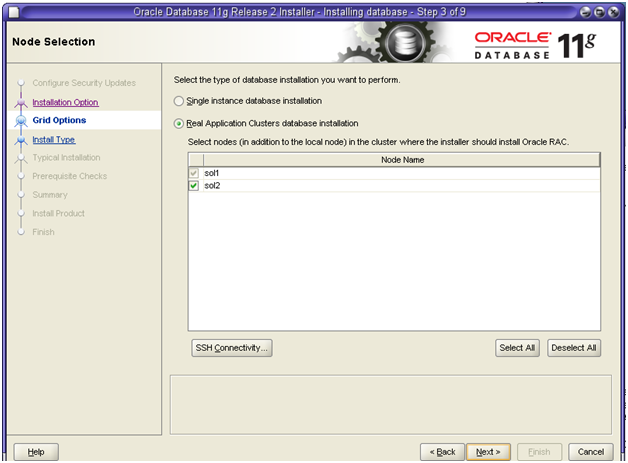 Select create a cluster database and press Next to continue. 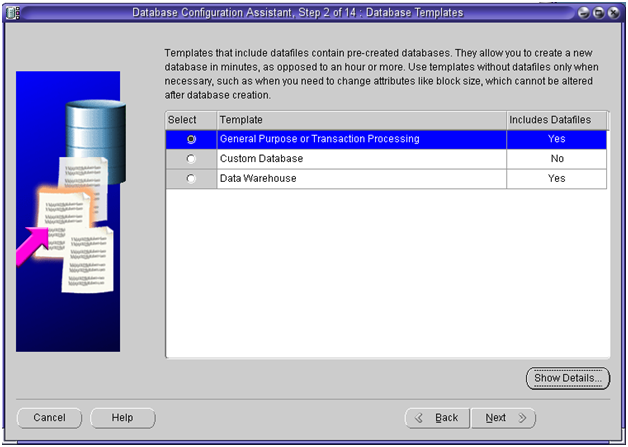 Select create a database and press Next to continue. Select a template and press Next. 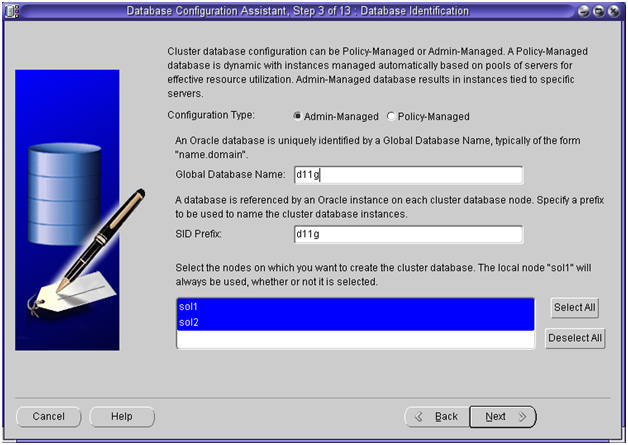 Specify a database name and select all nodes of the cluster and press Next to continue. 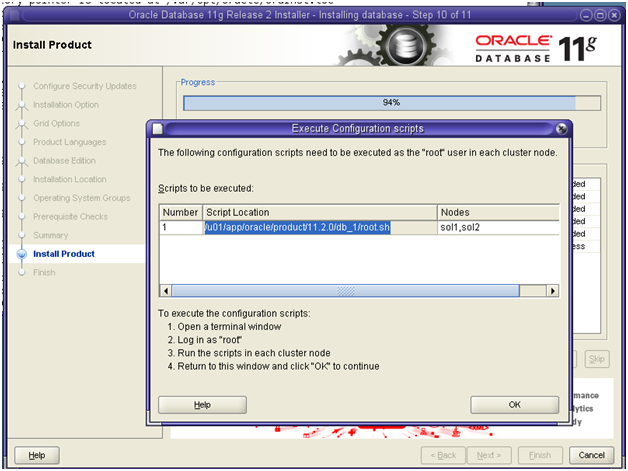 Select Configure EM and press Next to continue. Enter password and press Next to continue. 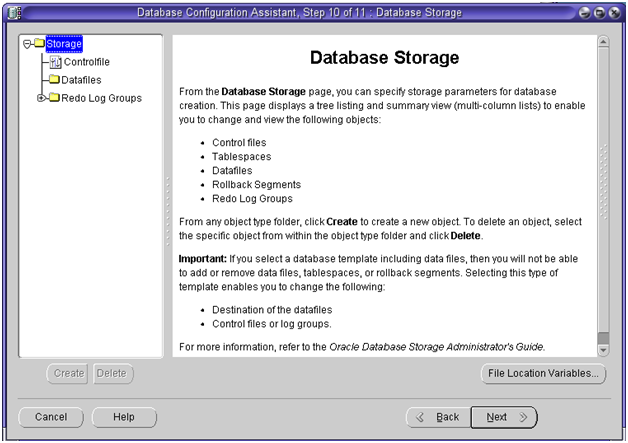 Select storage type and storage location and press Next to continue. 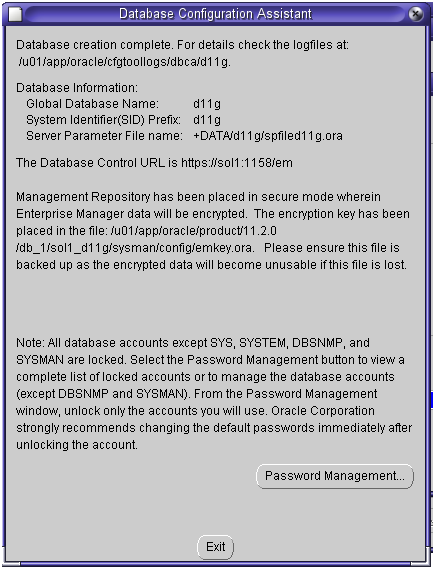 Enter password for the ASM. OK and press Next to continue. Specify FRA and/or archiving and press Next to continue. Select sample schemas. Press Next to continue. 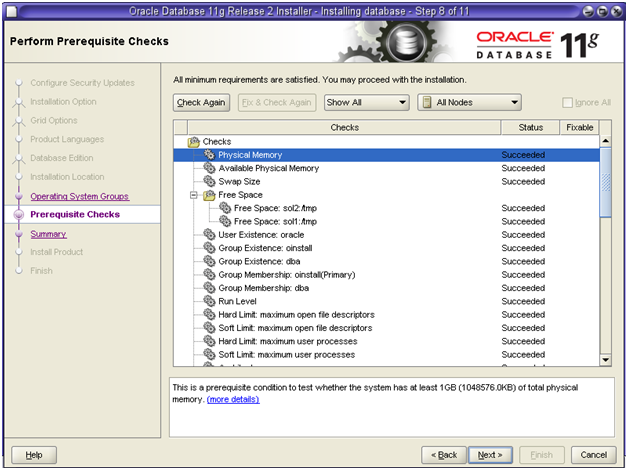 Select memory management option (AMM or ASMM or Manual memory management) and press Next to continue. 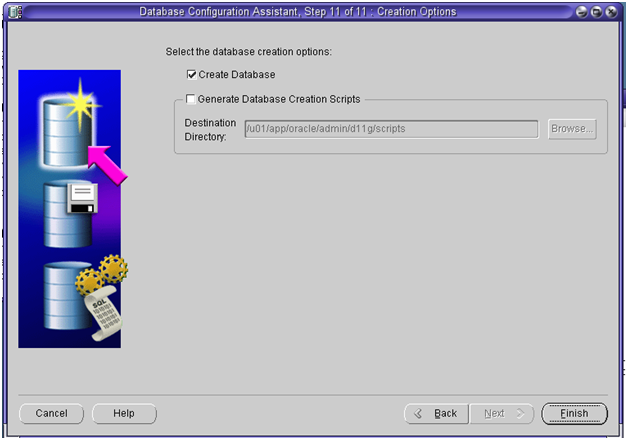 Select Create database press Finish. 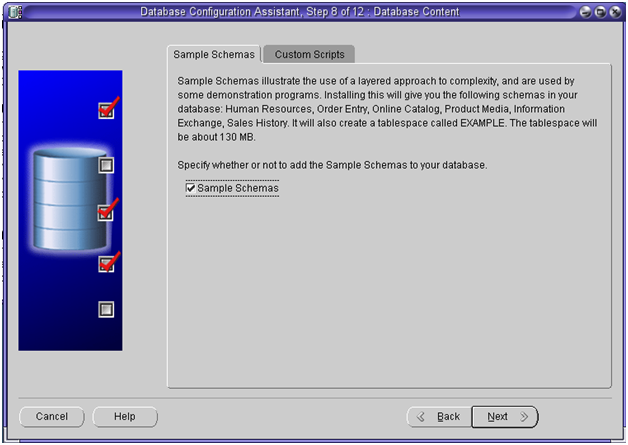 Review the summary and OK.
Dbca start creating the database. *** 04/12/10 04:05 am ***As per Bug 8606583, we came up with script GIHome/bin/setasmgidwrap to take care of the ASM Disk accessibility byRDBMS process with role separation issue. This script is basically setting the RDBMS’s ‘oracle’ binary to -r-xr-s–x 1 oracle asmadmin 173515991 Apr 4 10:34 /u01/app/oracle/product/11.2.0/dbhome_1/bin/oracle This script is called by 11.2 DBCA and other tools. And needs to be run manually with 11.2 DB is created manually( Bug 9181675 ). In case of standalone set up, if the 11.2 Database be managed by Oracle Restart ( srvctl stop/start ), then ‘grid’ user should also be a part of ‘dba’ group. After setting the ownership I reran the dbca and completed successfully. Wait for the dbca to complete. At the end the database is up and running. Successful addition of voting disk 1d4fe36ed15a4f00bf1d7ef9e38ce694. 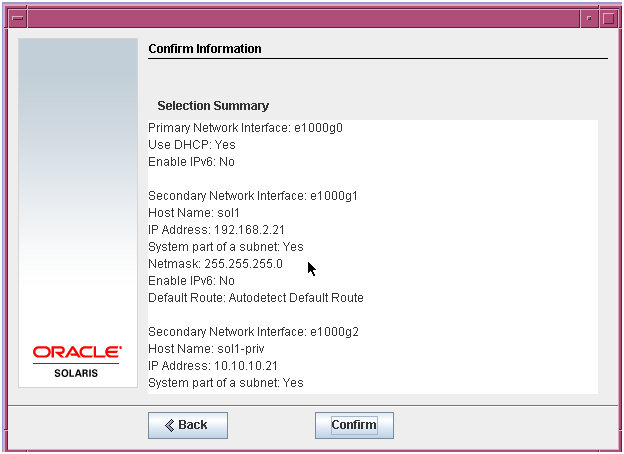 Did IP address of sol1-vip/sol2-vip automatic create after finished installation ? In my lab, it not show when using ‘ifconfig -a’ command. After GI installation you should have the VIP accessible and visible. 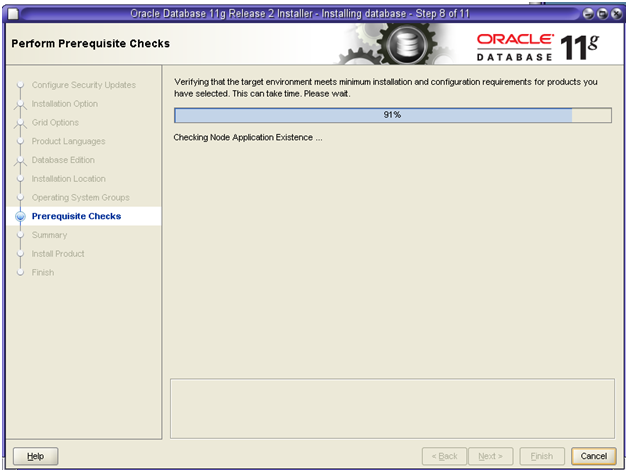 If the installation has completed succesfully what is the status of the resources? Hey there, You have done an excellent job. I will definitely digg it and individually recommend to my friends. I am confident they’ll be benefited from this website. certainly like your website however you need to take a look at the spelling on several of your posts. A number of them are rife with spelling issues and I find it very troublesome to inform the reality however I’ll certainly come again again. Hey ! I loved the points , Does anyone know if my assistant might be able to access a sample IRS 1040 – Schedule D document to use ?